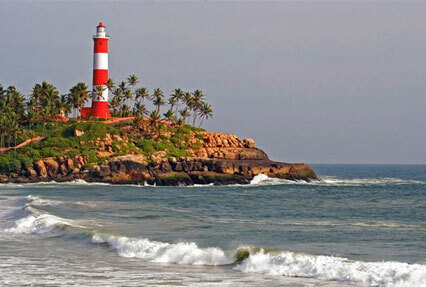 Experience this luxurious 9 day Kerala Tour. 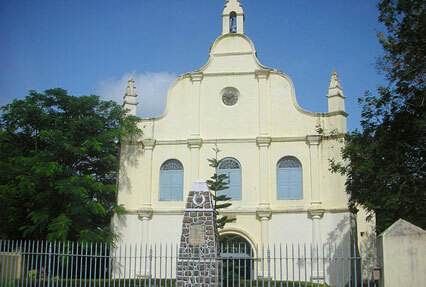 The tour starts with Cochin where you visit the major tourist attractions like Jewish Synagogue, Dutch Palace, Portuguese architecture, St. Francis Church and Boghatty Palace. While exploring the place have a sight of Chinese fishing net swaying in the breeze over backwaters that are uniquely found in Cochin. Then visit Munnar, an idyllic tourist destination offering an unending expanse of tea plantation. The presence of lush green surroundings, lakes, reservoirs and forests are there to enthrall you. 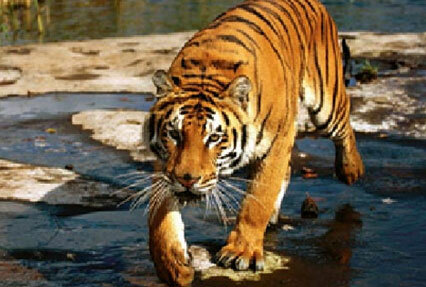 Later, reach Thekkady and enjoy jeep safari at the Periyar Wildlife Tiger Reserve. In the further leg of the journey enjoy an excursion to the Kerala backwaters that have been known for their mesmerizing and alluring charms spread across the whole area. After arriving at Cochin airport, meet our representative who’ll arrange a smooth transfer for you to one of our listed hotels. Check-in at the hotel. Rest and relax for a while. Then proceed to visit the major tourist attractions like Jewish Synagogue, Dutch Palace, Portuguese architecture, St. Francis Church and Boghatty Palace. While exploring the place have a sight of Chinese fishing net swaying in the breeze over backwaters. These fishing net exhibit the mechanical method of catching fish by the local fishermen in high tide conditions. Return to the hotel and spend the rest of the day at leisure. Overnight stay at the hotel. After a sumptuous breakfast at the hotel, drive straight to Munnar. 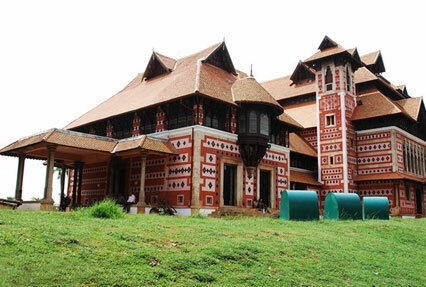 On arrival at Munnar, get transferred to one of our listed hotels. Check-in at the hotel. The rest of the day is to be spent relaxing in your room. Munnar is an idyllic tourist destination offering an unending expanse of tea plantation. The presence of lush green surroundings, lakes, reservoirs and forests are there to enthrall you. The place is visited by many adventures-seeking traveler, who have a keen interest in Paragliding. In the evening get down from your hotel for a leisurely walk to explore the nearby areas. Enjoy a comfortable night stay at the hotel. 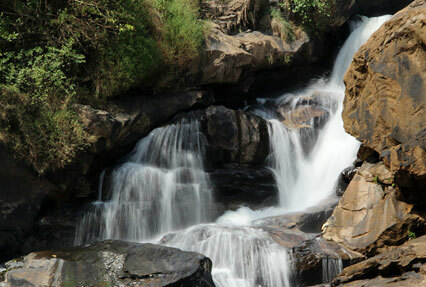 Next day wake up early in the morning and after breakfast, proceed towards a sightseeing tour of Munnar. The major tourist hotspots to be covered include the Atukkad Waterfalls, Chithirapuram, Blossom Park and Pothamedu View Point. Also enjoy an excursion to Eravikulam national park, another major tourist attraction, where one can find the endangered species of Nilgiri Tahr. In the evening pay a visit to explore the Rajamala Hills. Return to the hotel for an overnight stay. On the 4th day of the tour post breakfast, leave for a four hour long drive to Thekkady. While on drive to Thekkady enjoy the drive as the road winds through the thick jungles and rich plantation. Upon arrival, check in at one of our enlisted hotels in the city. In the afternoon proceed to Periyar Wildlife Tiger Reserve to enjoy the jeep safari. Periyar is a veritable paradise of elephants. Scores of them can be witnessed bathing and swimming here. Later in the evening you may enjoy boat ride at Periyar Lake. Overnight stay at the hotel. In the morning after breakfast, head straight to Kumarakom. The place proves to be a paradise for bird watchers. On reaching Kumarakom pay a visit to bird sanctuary. After bird watching head to one of our enlisted hotel for check-in and breakfast. Spend the rest of the day at leisure. You may indulge in water sports like water skiing and wind sailing. Return to the hotel for dinner and overnight stay. Post breakfast, head to visit the Bay Island Driftwood Museum. Later in the day enjoy sightseeing at Vembanad Lake. Kumarakom is a tourist village situated on the banks of Vembanad Lake. Overnight stay at the hotel. Post breakfast leave for Alleppey in a houseboat for an overnight cruise. The Kerala backwaters have been known for their mesmerizing and alluring charms spread across the whole area. While cruising along the backwater feast your eyes with lush green padded fields, palm fringed costal lines and enjoy the majestic scenery. Enjoy an overnight stay on the houseboat. In the morning drive towards Kovalam. Check-in at one of our listed hotels, on arrival. After relaxing for a while move out for an excursion to Kovalam Beach. The beach is ideal for various kind of water sports like Kayaking, surfing , skiing and swimming. You may pamper yourself with a body toning massage at any of the centers of your choice. Overnight stay at the hotel near the beach. In the morning wake up early and after breakfast, drive straight to Trivandrum. On arrival, check-in at one of our listed hotels. Then head to visit to the major tourist attractions like the Padmanabhaswami temple, Puthenmali Palace, Napier Art Museum & Gallery and the Museum Complex. After breakfast, get transferred to the Trivandrum airport to board a flight for your onward destination.